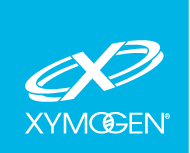 At Prixus Medical we care about your overall health and well-being so we teamed up with one of the best Nutraceutical companies in the United States, located here in Orlando; XYMOGEN. Their products are of the highest quality and only offered through medical practices like Prixus. Their products are not sold in stores. Once you receive a full evaluation by our physicians, you may purchase a customized list of supplements that meets your personal needs from the online store tailored for Prixus Medical.